Indian Biscuit market is now witnessing interesting actions to increase share of the pie between major players such as Britannia , ITC and the new entrants such as United Biscuits , Pepsi , GSKB and Unibic .Parle which has now donned the numero uno position beating Britannia dominance have laid aggressive plan to retain this position . 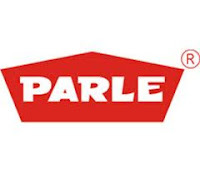 In a bid to retain its edge in the Rs 11,000 crore branded biscuits sector, Parle Products is scripting a new game plan which includes adding manufacturing capacity, new launches, revamping of pack sizes and internet advertising. “We are planning to set up six new manufacturing plants. We have just increased the pack size of our products by 10 % without raising prices,” said Praveen Kulkarni, general manager, Parle Products. At present, Parle Products has 76 manufacturing facilities across the country. It is increasing its distribution network by 20% in the next two months. “As part of our festive offer, we have increased the capacity of our brands in terms of volume by 30 to 40%. With a 45% market share, we are the leaders,” added Kulkarni. With its festive offer, the company hopes to clock 30% growth in sales this year. Parle’s major biscuit brands include Parle G, Monaco, Hide & Seek and Krack Jack among others.